We’re on a mission to increase the number of units of affordable housing in DC, Maryland, and Virginia. Today, to afford a two-bedroom apartment, a minimum wage worker in DC must work 132 hours each week, in Maryland 135 hours and in Virginia 114 hours. A home is more than a place to stay. It’s a stable platform for children, youth, and adults to dream and to thrive. With a stable home everyone wins. 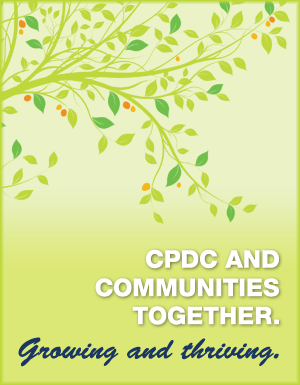 Donate 100% - Add 3% so that 100% of the donation goes to COMMUNITY PRESERVATION AND DEVELOPMENT CORPORATION. COMMUNITY PRESERVATION AND DEVELOPMENT CORPORATION has partnered with Network for Good to securely process your online credit card payment via Network for Good (tax ID 68-0480736). This transaction will appear on your credit card statement as "Network for Good." This transaction is subject to Network for Good’s Privacy, Security & Disclosure Statement and the Charitable Solicitation Disclosure.